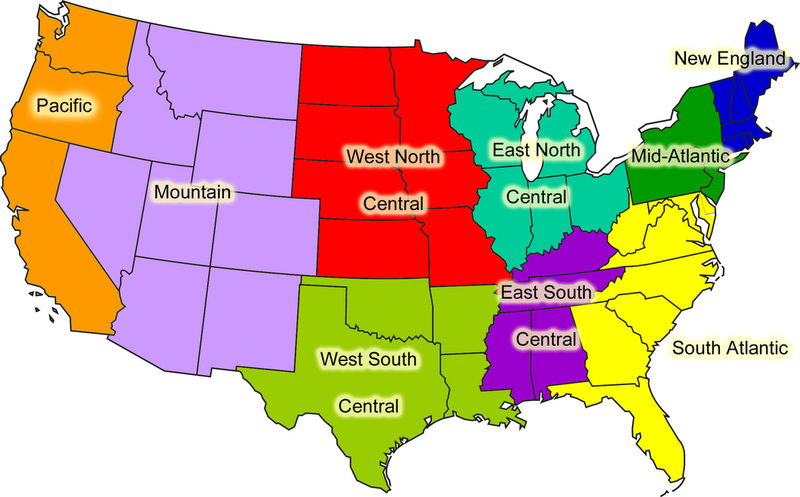 Geographers have a variety of ways that they break up the United States into REGIONS. Above are two of the most common representations of the division. Click here to watch "How the States Got Their Shapes"